A favourite blog of mine is Humans of New York. This recent post reminded me of the universal love of stories, literature, and poetry and the capability of art to deepen, widen and enrich our lives. 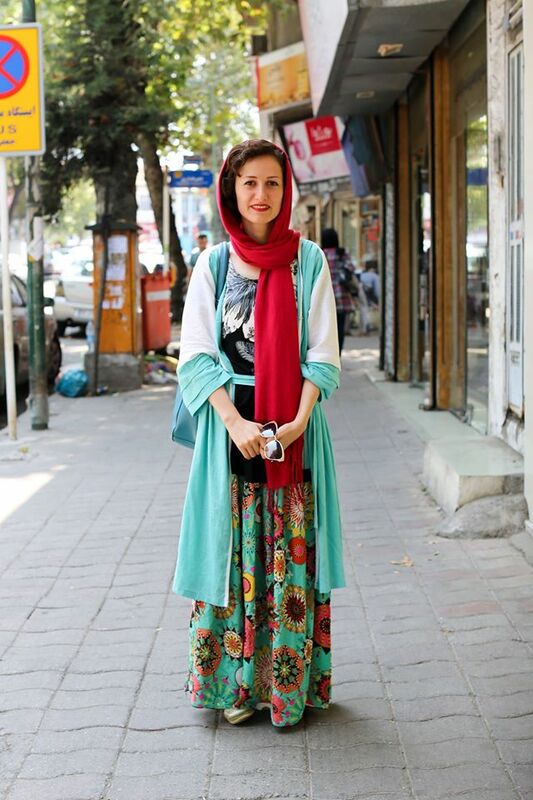 You can follow Humans of New York via their website, Facebook, Twitter and Instagram. The world is not made of atoms, it’s made of stories. As a fan of the amazing blog Humans of New York, I’ve focused several Bear Skin posts on the power of hearing and sharing the stories of every day people. digital archive of the collective wisdom of humanity. In March 2015, he won the coveted TED Prize declaring his goal is to take the project globally. In an earlier post, Journalism as Narrative, [Jan 11, 2015], I examined the fact that everyone is telling stories, even journalists. The way news items are chosen and framed presents a picture of the world. I highlighted one of my favourite bloggers, Brandon Stanton, and his page, Humans of New York. The blog subverts the trend of selling drama, to tell the stories of every day people. He, almost daily posts images of people he encounters in the streets of New York, and a few lines of dialogue that captures something unique about them. With over 11 million Facebook followers, Stanton resonates with his audience by highlighting the beauty, complexity, humour and vulnerability of human beings. Nothing quite captures the power of his story telling as what has happened over the last 7 days. On January 20th Stanton took this picture of 13 year old Vidal Chastanet, in his neighbourhood, Brownsville, New York. On January 23rd, Stanton found and interviewed Mrs Lopez, the principal of Mott Hall Bridges Academy. Inspired by the community and the response to Vidal’s story, which had received over a million likes, Stanton spent time brainstorming with the teaching staff how he and the HONY [Humans of New York] community could help. Stanton and Ms Lopez discussed a school trip to see Harvard University. Our discussion covered many needs, but we kept returning to one in particular– the limited horizons of disadvantaged youth. Ms. Lopez’s school is situated in a neighborhood with the highest crime rate in New York, and many of her scholars have very limited mobility. Some of them are very much ‘stuck’ in their neighborhood. And many have never left the city. “It can be very difficult for them to dream beyond what they know,” Ms. Lopez explained. 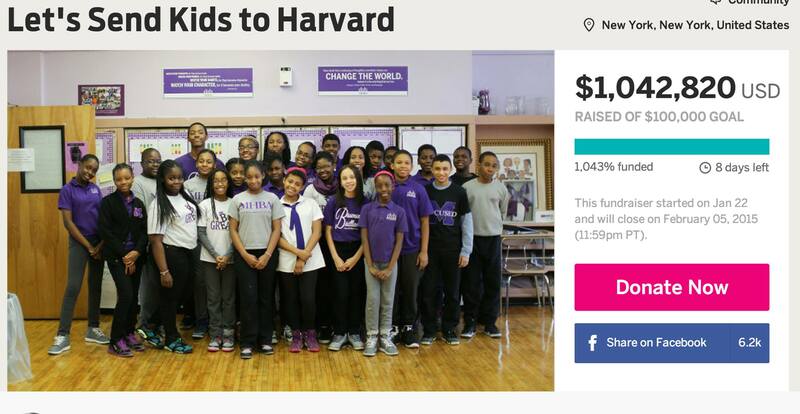 Stanton promptly launched an crowdfunding campaign on Indigogo with the goal of $100, 000 to send Vidal’s class to Harvard. Subsequent posts told the stories of other citizens of the neighbourhood, other teachers of Mott Hall Bridges Academy, the teaching staff, the school community. Stanton spent almost the whole week in Vidal’s world recording the remarkable human beings and the lives they live. With each post he promoted the fundraising campaign which quiclly grew beyond a simple trip to Harvard. Just amazing. And in less than five days. Thanks to the 34,893 of you who have donated so far. (That’s getting close to an Indiegogo record, by the way!) Thanks also to those of you who have been following along, and lending comments of support. I’m so proud of how everyone has rallied around this story, in ways that go so far beyond just raising money. With over $1 million dollars raised in just under a week, the campaign was nothing less than record breaking. Funds were raised for 10 years of trips to see Harvard University, summer programs for the local school children, and a scholarship fund for students to attend university. This not only illustrates the power of digital media and the creation of a “community” of people as far flung as South Africa, New Zealand, India, Iran and Brownsville, New York, but also the power of simply telling people’s stories. By connecting with people’s stories, the world seems a little smaller, strangers seem a little stranger and our hearts connect with the plight of others making their problems our problems.